Nose–ear–throat manifestations of immunodeficiency disorders represent a diagnostic challenge for clinicians as these diseases often constitute the initial sign for connective disorders or autoimmune disease. 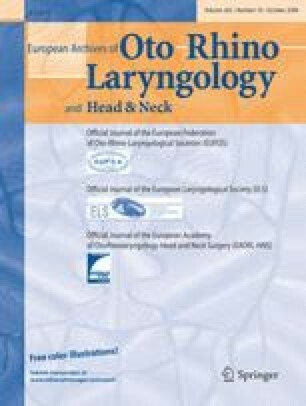 The history of chronic rhinosinusitis and conductive hearing loss is often non specific. Therefore attention to an HLA class I deficiency must be considered if the disease has not been diagnosed on routine examination. One of the syndromes is due to a defective TAP complex, the peptide transporter complex associated with antigen presentation. Herein, we report two sisters with TAP-deficiency. The treatment of choice for TAP-deficient patients is conservative.